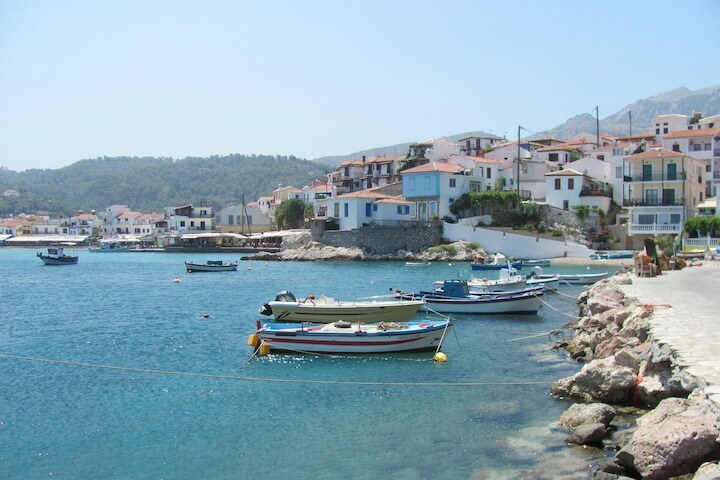 Samos is a Greek island closer to Turkey (70km from Izmir) than to the mainland of Greece. 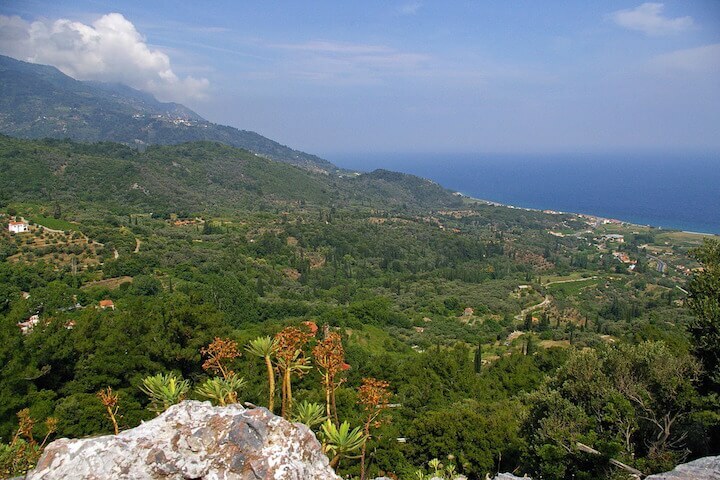 476m² of land that is rather mountainous and very green, Samos is full of local treasures between its history, its great men and local productions. "According to mythology, the island was, at a distant time, populated by ferocious animals: the Naiads or Maenads. Dionysos, god of the vine and wine, arrived on the island while pursuing the Amazons who had repulsed his advances. He then asked for the help of the Samiotes for revenge and killed them all. To thank the inhabitants, he taught them viticulture, gave them a gift of the vine which produces the wine of Samos and taught them how to prepare it. It is also said that the goddess Hera was born on the banks of the Imbrasos River, which flows to the South of the island and that it is there that she unites with the king of the gods, Zeus, becoming the protector of the island. " The island is particularly famous for its productions of red pottery (since ancient times), jewels and bronze craftsmanship, its famous Malvasia wine, the best Greek Ouro, its tobacco, its roses, its olive oil and its fruits. 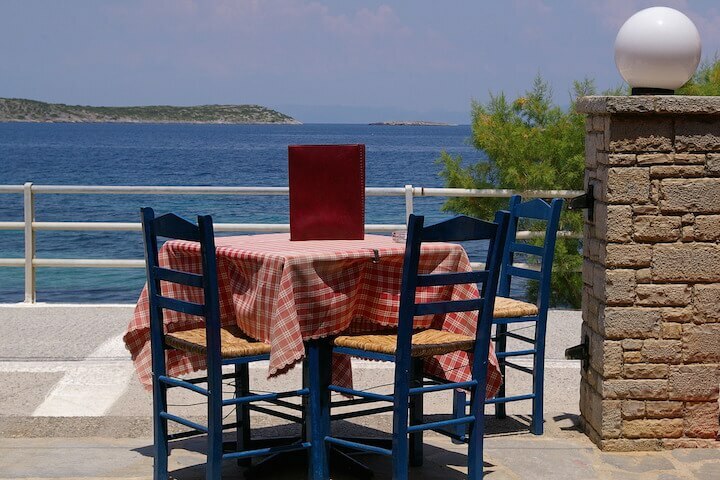 What better place to have some drinks, feast and get a feel for Greece on this island. The island is also the homeland of famous Greeks: Pythagoras and others (Aristarchus, Epicurus, Herodotus and Aesop). For boat enthusiasts, shipyards provide Greece with a traditional fishing boat (Kaikia or Trehantiri). 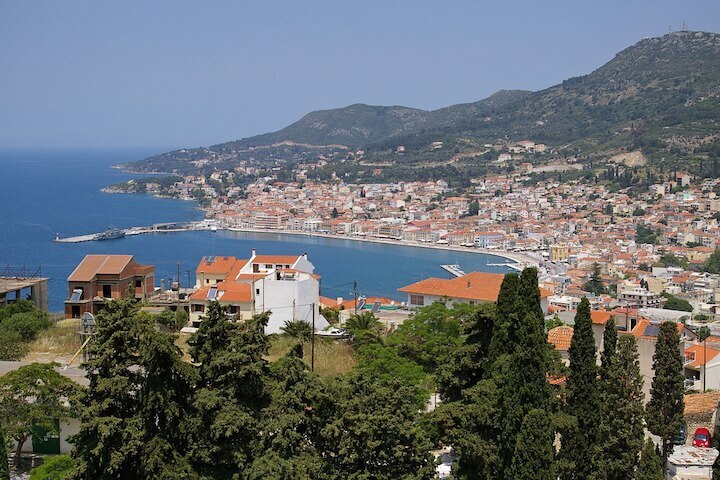 Samos is hilly in its centre and dotted with rivers, waterfalls and forests. The most beautiful region is certainly the Valley of Nightingales (a real paradise for nature lovers). And if you have the urge to experience nature in its heart, take a dip in the Karlovassi waterfalls, a splendid view to the West of the island. The mountain villages are charming and welcoming. They will be very interesting stages during your hikes or visits of the island. The "Island of Happiness" is easily accessible but it will be easier to go back and forth with the rental of a car or a scooter and especially to face the centre more uneven which offers a discovery of the more intimate island. There are plenty of opportunities to visit Samos. Vathy is a beautiful city that offers a splendid view of the bay, its narrow streets and its historical heritage make it unique. An important step during your discovery of the island. 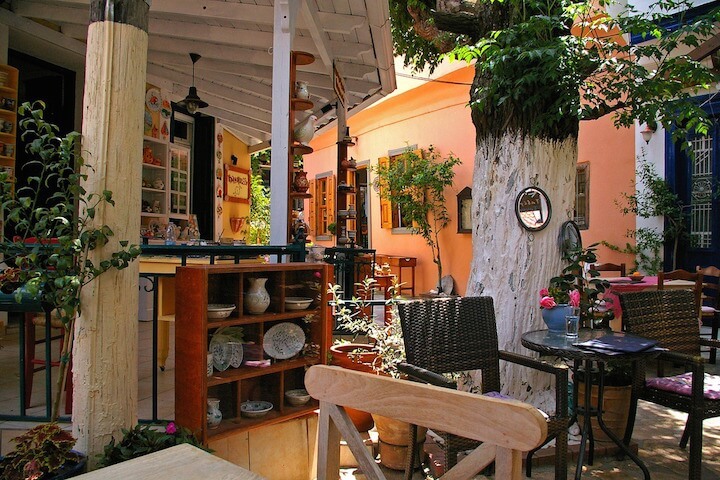 After your visit, take a break on the terrace of one of its many restaurants or cafes. Pythagorion will delight you between historical monuments and archaeology. Ireon is an authentic fishing village. Pyrgos and Marathokampos are worth seeing. Karlovassi is a charming little town by the sea, with a measured tourist dimension that enhances the offer of activities without undergoing an influx too intense. Not far from the city, there are waterfalls where you can swim and a Byzantine fortress will illuminate your stay. The beaches are numerous, wild or well appointed. They are more often made of pebbles rather than sand. But the choice is vast. To quote our favourites: the beach of Kokkari which is the best destination for surf lovers, a lot of wind, a perfect supply of equipment. Do not favour it if you want a family beach: select Posidonia, Tsamadou, Papa Beach (near Ireon) or Psili Amos (North). The port and beach of Agios Konstantinos are also worth a visit. Here is the absolute calm! The harbour is splendid, an impression of being the masters of the place emerges. The island of Samos is a unique destination, authentic and increasingly popular in Greece with locals and foreign tourists alike. Close to the Turkish coast, you can reconcile the two destinations in one trip, inaugurating a visit to the Dardanelles or Izmir unexpectedly with daily departures by boat. Villanovo offer waterfront villas close to Karlovassi, combining calm and accessibility to the many activities of the island. 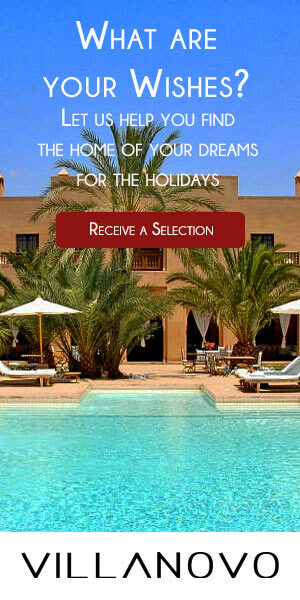 If this destination tempts you, do not hesitate to contact our specialist advisors on our website.